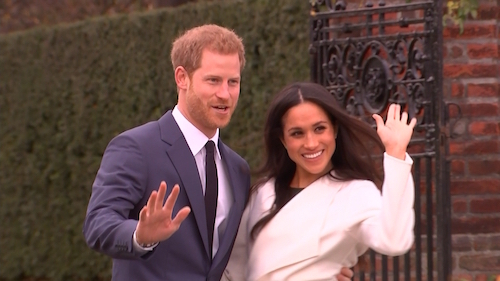 In a few days one of the most eagerly awaited weddings of the decade will take place in the United Kingdom. Fever is continuing to mount all around the world in anticipation of seeing the most glamorous couple of the moment become husband and wife. On May 19 2018, Harry, the second son of the future King of England and Princess Diana, will take as his wife, Meghan Markle, an actress right out of California. A wedding that is unleashing an excitement among the public as great as that created by his brother William on March 19 2011. So why is it that the man who grew up in the shadow of his brother for so long, the man who was always considered the rebel of the royal family, why the man who has constantly created scandal after scandal, who was shown drunk, taking drugs, hitting paparazzi or wearing a Nazi uniform, is creating such a frenzy now? To the point of even dethroning his brother William¾the future king all the same¾in the hearts of the English? How did the Queen finally say yes to a marriage that has all the elements to shock the royal family? Meghan Markle comes from a modest background, she is divorced, older than Prince Harry and not forgetting that she is a successful actor who made it all on her own. She is an independent woman with a radically different style to that of the usual Ladies who marry the family’s princes. Ophelia Meunier and the teams from Zone interdite take you behind the scenes of this unusual love story with a documentary made by Sophie Rabiller, Sebastien Gilles and Christophe Janin. We will tell you the destinies of these two people who were never destined to meet. First of the young prince, shattered as a child by the tragic death of his mother, who later declines into the worst excesses, hitting the headlines and bringing shame to the royal family before finding redemption as a soldier in Afghanistan. Princess Diana’s bodyguard and her butler will share their memories through this story along with others close to Harry today. We also tell the history of the young Californian, Meghan Markle, who ever since she was a child dreamed of becoming an actor, but who had to face many setbacks in her life, appearing in bottom of the range adverts, small roles or brief appearances in films or TV series before finally achieving success in the series Suits. Her half-sister, Samantha, will be one of our special contributors and will tell us of her sister’s struggles and setbacks before she met the man who was to change her life forever. A meeting leading to a wedding that will bring a breath of modernity into the English monarchy, upsetting a good number of traditions which we will reveal to you from the inside.